Frames built specifically with multiple tracks to house stained glass and exterior glass. This feature allows for repair and maintenance to be accomplished without disrupting the adjacent panel. 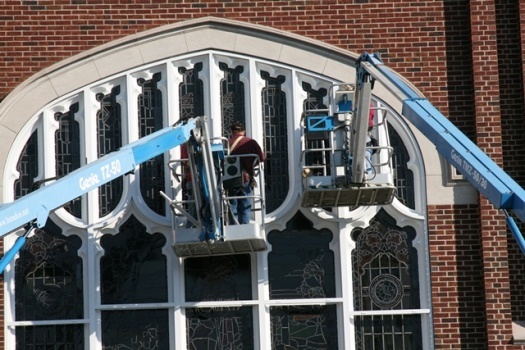 Specialized Aluminum Frames with multi-trac systems allows for future installation of stained glass, especially when dealing with new construction projects. Why Aluminum Frames Vs. Wood Frames? Window Creations is dedicated to bringing our clients the most up to date aluminum frames available. 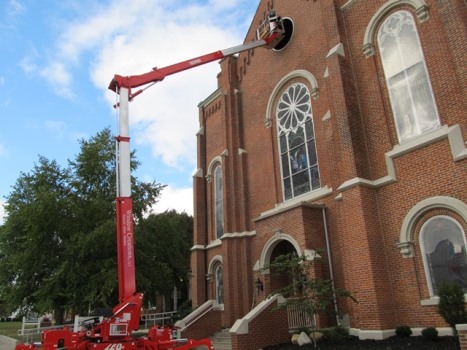 We design and install new custom frames for churches and commercial applications. Our frames feature tilt in, tilt out, pivot in the center or casement style ventilators. We also build fixed frames. We have many frame styles to choose from, stop in or call for more available options.